Revisão 7ª série 1º trimestre Professora: Daiane Winter Componente Curricular: Inglês. 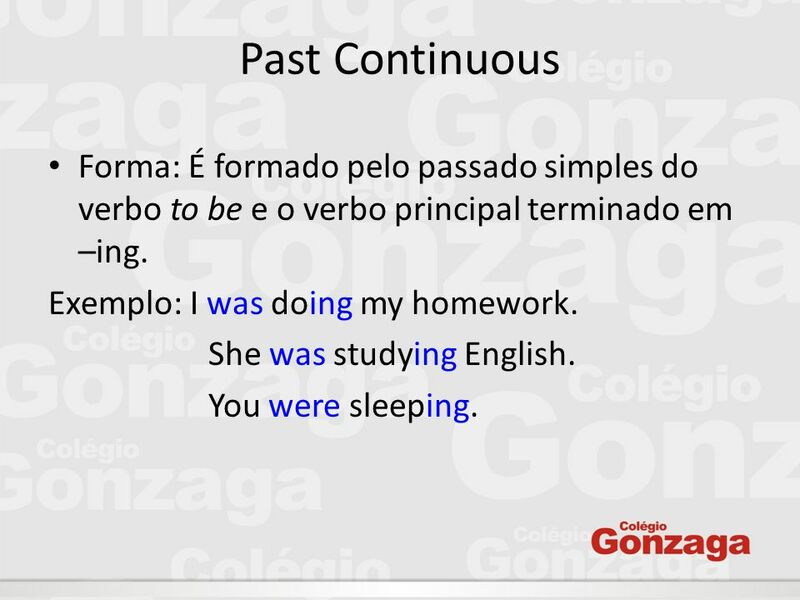 3 Past Continuous Forma: É formado pelo passado simples do verbo to be e o verbo principal terminado em –ing. 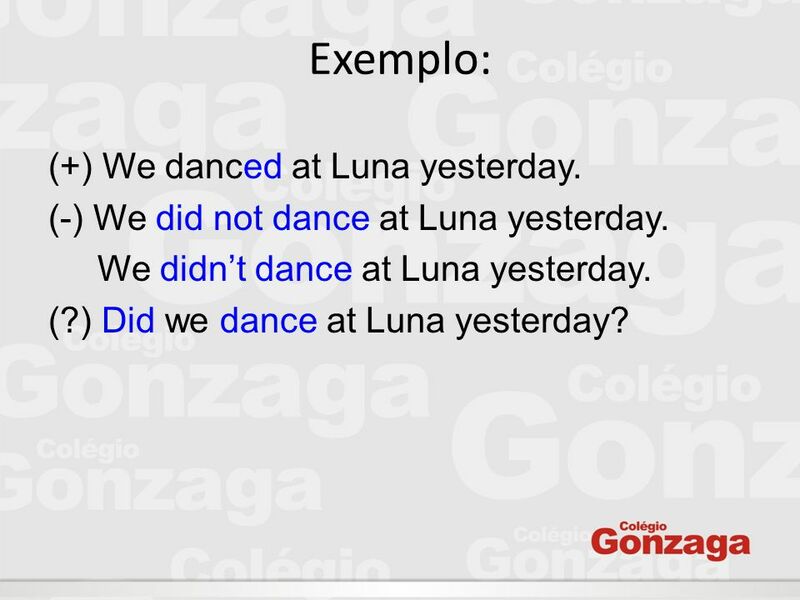 Exemplo: I was doing my homework. She was studying English. You were sleeping. 4 Formas afirmativa, negativa e interrogativa. (+) It was raining. (-) It was not raining. / It wasn’t raining. (?) Was it raining? (+) They were playing tennis. (-) They were not playing tennis. / They weren’t playing tennis. (?) Were they playing tennis? 5 Agora é a sua vez: a)John was watching TV. John wasn’t watching TV. Was John watching TV? b) Sally and Leo were walking in the garden. Sally and Leo weren’t walking in the garden. Were Sally and Leo walking in the garden? 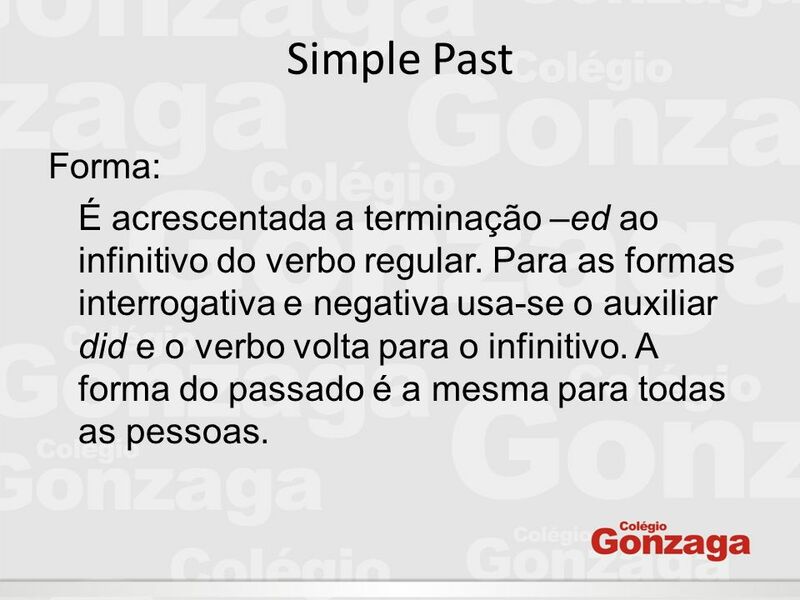 8 Simple Past Forma: É acrescentada a terminação –ed ao infinitivo do verbo regular. Para as formas interrogativa e negativa usa-se o auxiliar did e o verbo volta para o infinitivo. A forma do passado é a mesma para todas as pessoas. 9 Exemplo: (+) We danced at Luna yesterday. (-) We did not dance at Luna yesterday. We didn’t dance at Luna yesterday. (?) Did we dance at Luna yesterday? 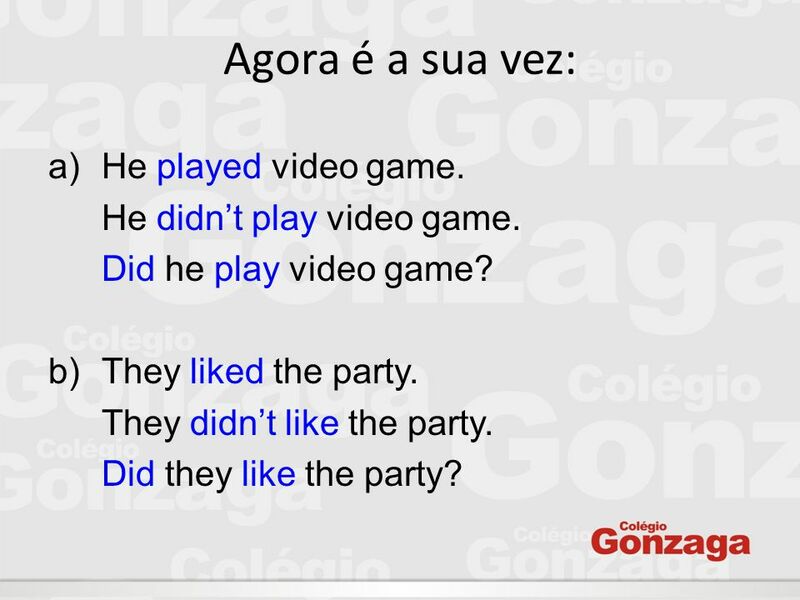 10 Agora é a sua vez: a)He played video game. He didn’t play video game. Did he play video game? b)They liked the party. They didn’t like the party. Did they like the party? 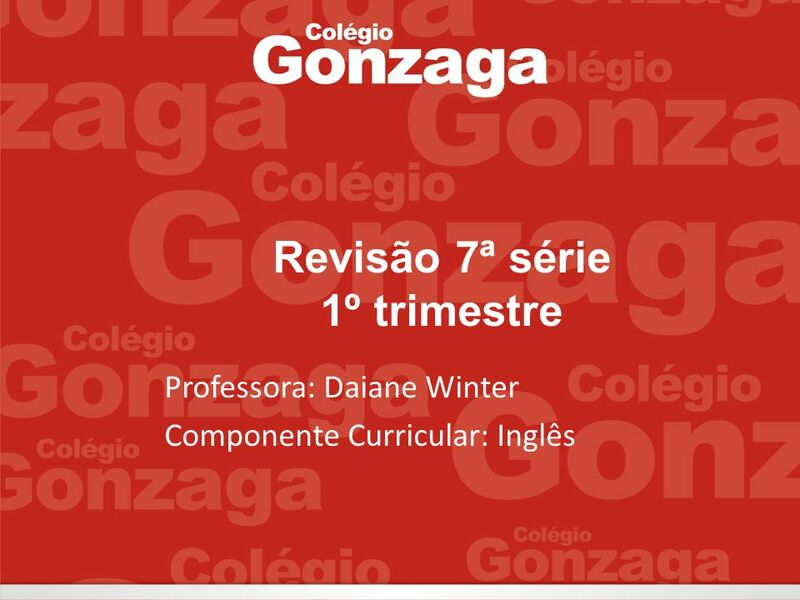 Download ppt "Revisão 7ª série 1º trimestre Professora: Daiane Winter Componente Curricular: Inglês." 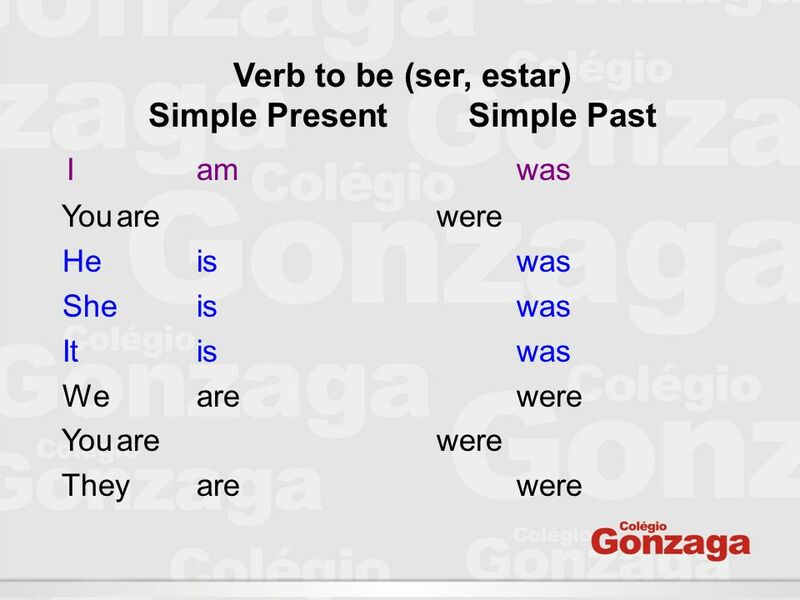 SIMPLE PAST TENSE It is used to talk about actions that happened at a specific time in the past. You form the simple past of a verb by adding -ed onto. VERB TO BE. 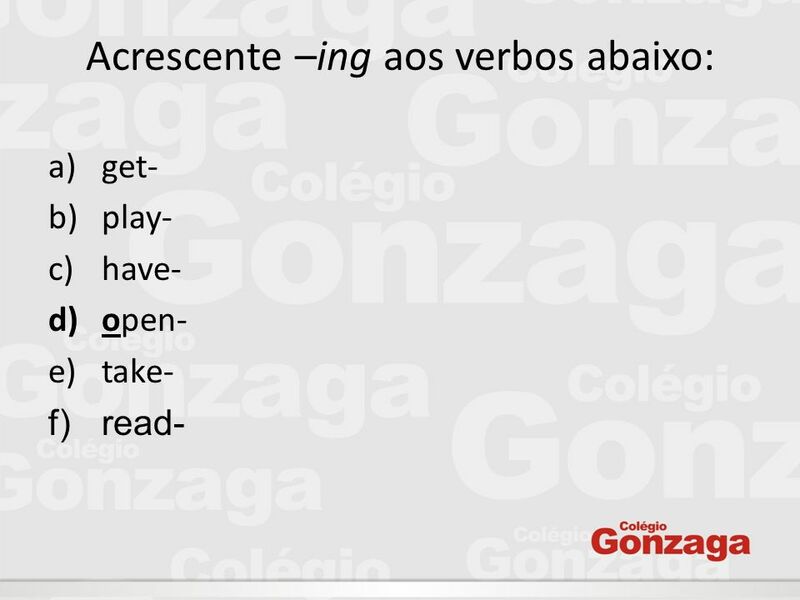 VERB TO BE O verbo to be significa, ao mesmo tempo, ser e estar. Andressa Ribeiro do Amaral. * Para indicar fatos futuros e/ou inevitáveis: It will rain tomorrow. * Para decisões tomadas no momento da enunciação: Will. Unit 7 English II Out and about…. In Unit 7, you’re going to learn how to… Use the present continuous. 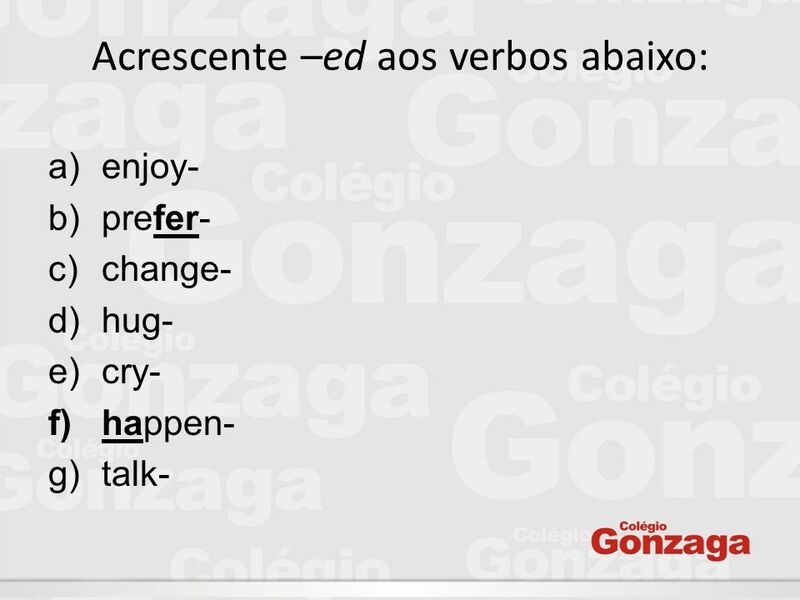 Use expressions like That’s great! and That’s too. English II Busy lives… Unit 10. Revisão 2º trimestre Teacher Silvino Sieben 1ª série EM. Use Examples Answer key Exercises Form. USE Usa-se a voz passiva:  quando o sujeito não é a pessoa que praticou a acção; Pop singers are used as models. PAST PERFECT X PAST PERFECT CONTINUOUS Andressa Ribeiro do Amaral.